Look at that driving face. Pure concentration. DiRT Rally is one of the toughest driving sims out there. (That makes sense, rally driving is one of the toughest forms of racing out there.) Anyway, here’s a kid playing like a pro, and he is a mere three years old. This little dude is not only a competent gamer (important), but he’s also training in how to slide real cars. Here he is in a crosskart. It’s important to mention that he’s Finnish, the spiritual home to rally driving, where every country road is basically a rally stage, and all newborns drive themselves home from the hospital. 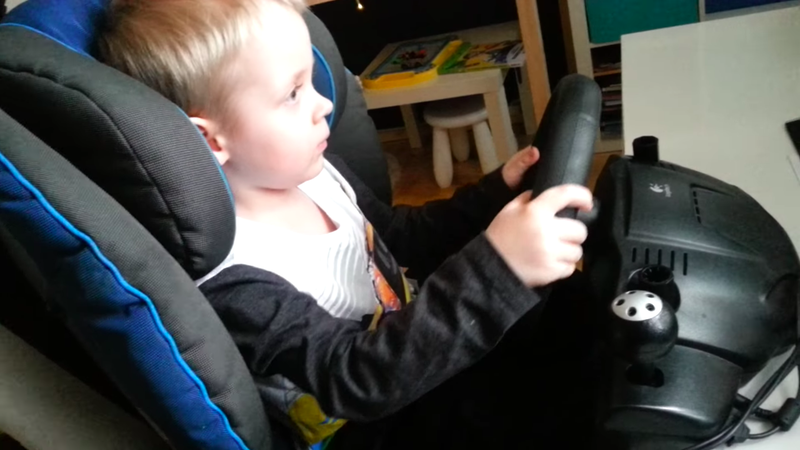 It is only a matter of time before this kid is at full rally driver level. If you don’t mind, I’m going to go back to feeling like I’ve wasted my entire life.